This piece was a reworking of a much older piece of mine, Sunset at the Falls. I took this piece through concept after concept and after weeks of new decisions, planning and reworking, I finally settled for a distant clock on the horizon to introduce a common thread that you will see in my work for many years to come. In this case, Time’s Up was the last in my series before my hanging date in November 2016. 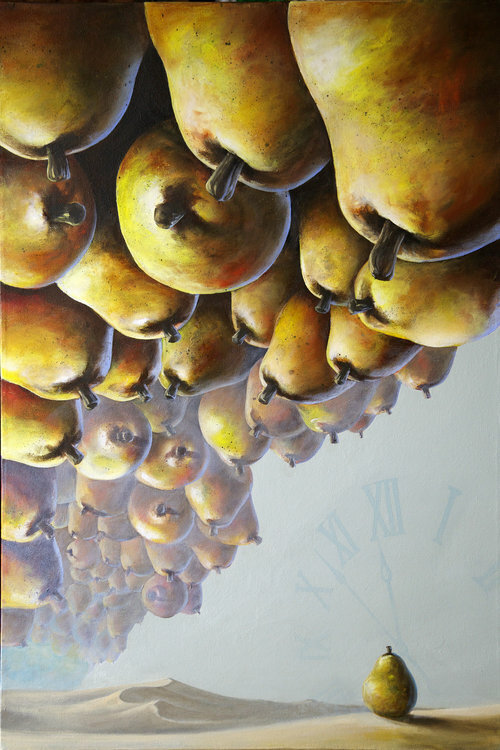 It is a surrealistic representation of the clock looming over my head and the weight of my pear creations and their need for completion. 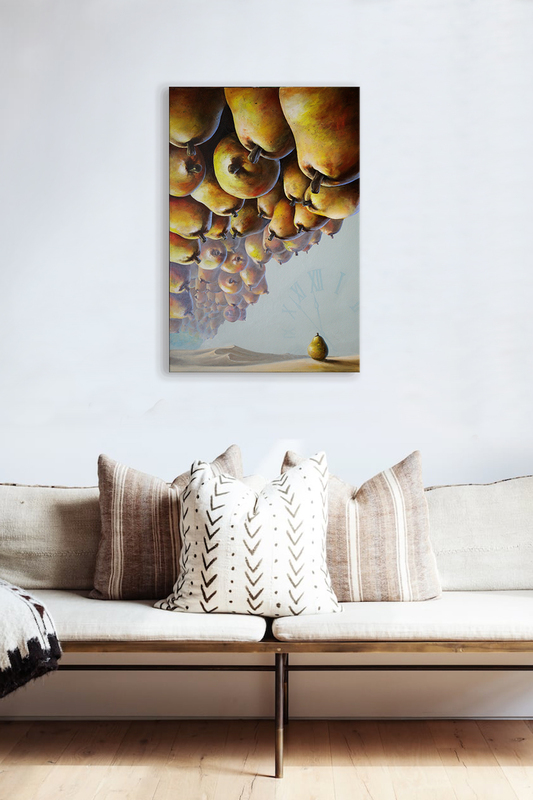 I feel sometimes as a surrealist that I need the weight of the world on my shoulders to inspire unique artworks. If my life was squeaky clean, fault free and always safe, my paintings would not have much to say. Surrealism comes from adversity and life experience. For those of you who know me well, you will understand where this comes from, for those of you who don’t know me well, I hope my imagery captures your imagination in the way I have intended.